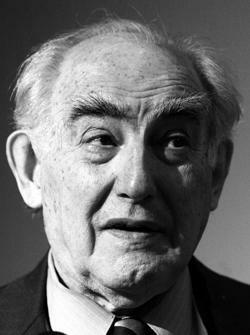 Vitaly Ginzburg, winner of the 2003 Nobel Prize in Physics. Vitaly Ginzburg, a Russian physicist who survived Josef Stalin's purges by working on the Soviet atomic bomb project and later won the Nobel Prize for physics, died in Moscow late on Sunday after a long illness. He was 93. Mr Ginzburg won the 2003 Nobel physics prize for developing the theory behind superconductors, materials which allow electricity to pass without resistance at very low temperatures. He shared the prize with British-American Anthony Leggett and Russian-born US scientist Alexei Abrikosov. But Mr Ginzburg's career as a Soviet scientist almost ended when he took as his second wife a woman arrested in 1944 and sentenced to three years in labour camps for supposedly plotting against Stalin's life. State anti-Semitism was flourishing and an attack on Ginzburg was published in a journal. "I can only guess what fate awaited me in this situation at this time," Mr Ginzburg wrote in an autobiographical article written for the Nobel prize committee. "I think that it would have cost me dear but I was saved by the hydrogen bomb." He wrote that he worked together with fellow Soviet physicist Andrei Sakharov - later a famous dissident - on the Soviet H-bomb project and said they developed the two key ideas which made it possible to create the device. But in 1951, Mr Ginzburg was dismissed from the atom bomb project as Stalin led a fresh campaign of anti-Semitism which aimed to blame Jews for the Soviet Union's problems and exile them into labour camps. "It was a tremendous luck that the Great Leader did not have enough time to carry out what he had planned to do and died, or was killed, on March 5 1953," Mr Ginzburg wrote in the article. He said he and his second wife Nina Yermakova had celebrated the day of Stalin's death ever since as a "great festival". Mr Ginzburg was active in public life after the demise of the Soviet Union, signing letters and giving interviews hitting out at official indifference to fundamental science in modern Russia. He attacked the Kremlin's growing links with the Orthodox Church and urged Western Europe to stop then-President Vladimir Putin returning to "a totalitarian past".